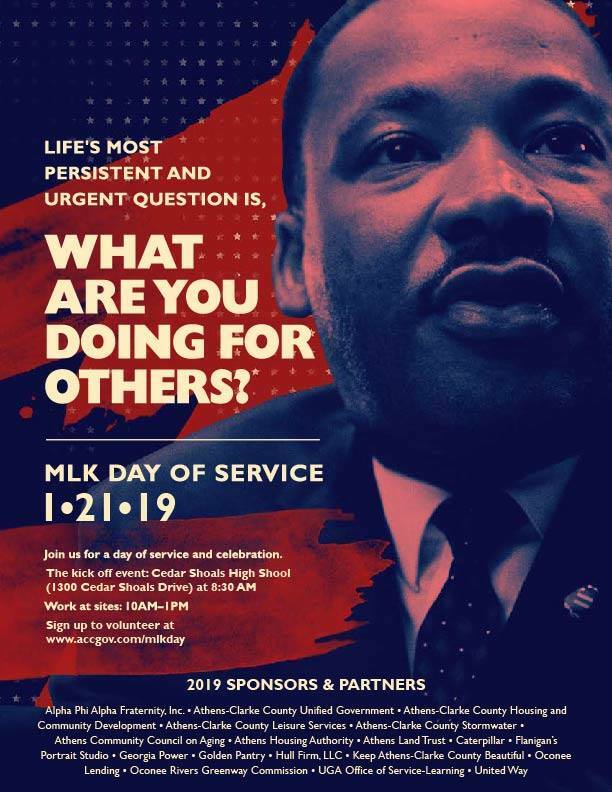 The MLK Day of Service is set for January 21st, 2019! Mark your Calendars! 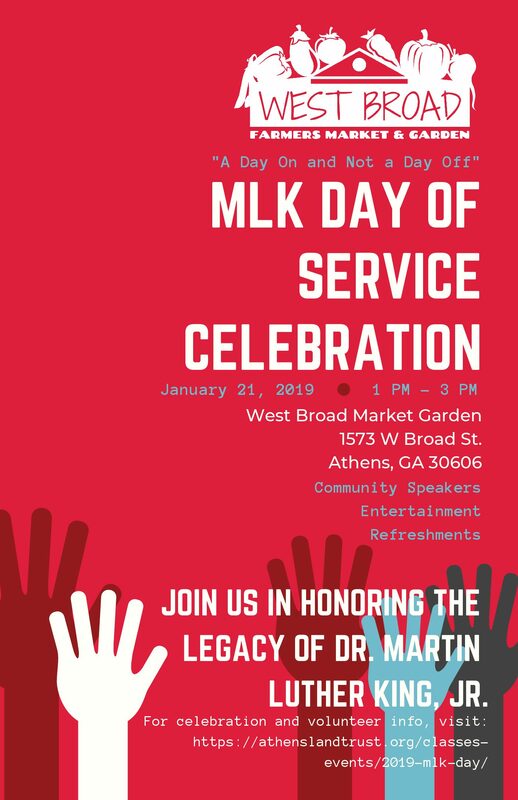 We invite you to honor Dr. King’s legacy at the 17th Annual MLK Day of Service on Monday, January 21, 2019. There are over 20 different volunteer sites to choose from, ranging from outdoor landscaping projects and tree planting, to book sorting and litter clean-ups. This year’s kick-off celebration and volunteer check-in will take place from 8:30 – 9:30 a.m. at the Cedar Shoals High School gymnasium located at 1300 Cedar Shoals Drive. The first 300 registered volunteers will receive free t-shirts, and a light breakfast will be served. Participants will hear from several speakers before heading out to their sites around 9:30 a.m., and volunteers will work until 1:00 p.m. unless otherwise noted. 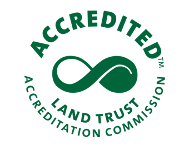 Athens Land Trust will have several volunteer sites for you to choose from; Athena Gardens, Beech Haven, Mae Willie Morton Community Garden, and the West Broad Market Garden. All volunteers under the age of 18 must be registered by their parent or guardian. Volunteers under the age of 16 must be accompanied by an adult while working at a project site. If you are interested in volunteering, click here for more info. Please contact Volunteer Coordinator, Katie Arney at katie@athenslandtrust.org or 706-613-0122 if you have any questions. We are proud to partner with the Athens-Clarke County Unified Government during the 2019 MLK Day of Service. Each year, people across the United States come together on Dr. King’s birthday to observe the only federal holiday that is designated as a National Day of Service. For the past 16 years, with the support of individuals like you, the Athens-Clarke County community has been a part of this nationwide movement. Athens Land Trust is serving as the fiscal agent for the Athens-wide MLK Day of Service. This tax deductible donation will help support the kick-off event, and the MLK Day of Service as a whole. During this event, there will be refreshments plus a variety of community organizations with informational tables. This event will include performances by Stella Groove, KxngBlanco, Cassie Chantel, and We’re Weird highlighting the work and philosophies of MLK through music. There will also be step teams, poetry, and a performance by the Clarke Central Orchestra. Come hear from keynote speaker Dunta Robinson, a former NFL player from Athens, GA! Robinson played college ball for the University of South Carolina, and pro ball for the Houston Texans, Atlanta Falcons, and Kansas City Chiefs. He will be discussing the value of service to the community. We are excited to be a part of this community-focused celebration that hopes to bring more unity to the Athens community. The food, the organizations and the entertainment will all come from the Athens community. We hope you will join us in service and celebration on this important day!